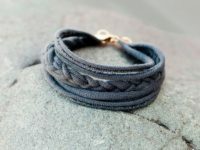 11 Fun and Fashionable Upcycled DIY Bracelets You'll Adore! 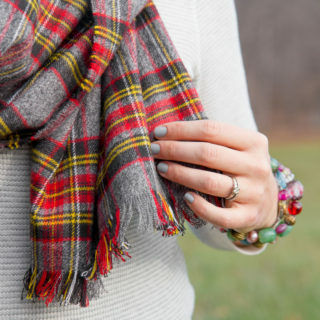 Pretty new accessories can turn a simple outfit from drab to fab in no time at all. 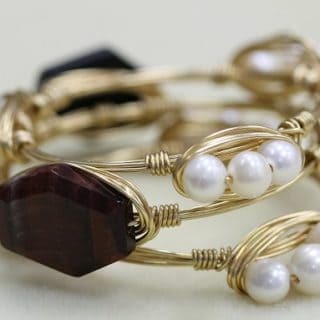 However, you don’t need to go shopping everytime you can’t find the pefect bracelet to match your outfit. 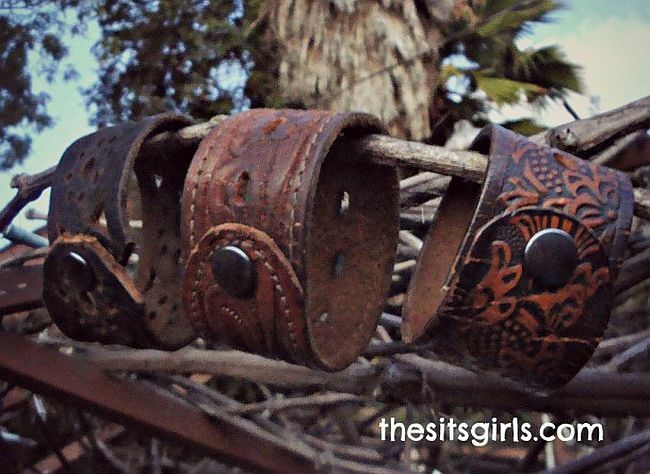 Try making your own jewelry with one of these fabulous DIY upcycled bracelet projects. 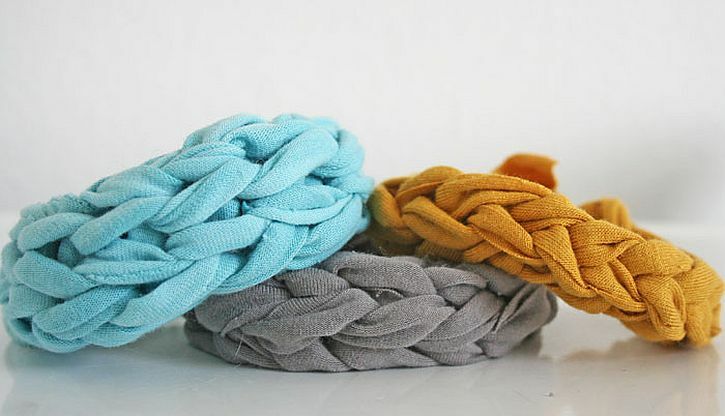 Instead of throwing out your old t-shirts, why not turn them into fun bracelets? 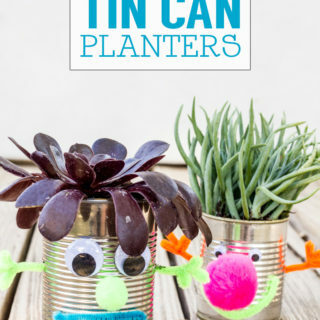 This project is a simple one that could be done while catching up on your favorite Netflix shows. 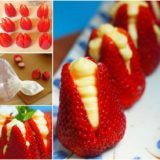 Vanessa Christenson shares the instructions on her blog. 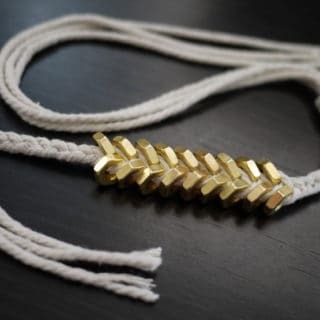 This is a slightly more complex version of the basic t-shirt bracelet, but the multiple strands definitely add visual impact. For a slightly different look, you could use two different colors of t-shirt material. 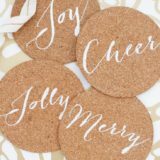 Visit Brit + Co for the details. 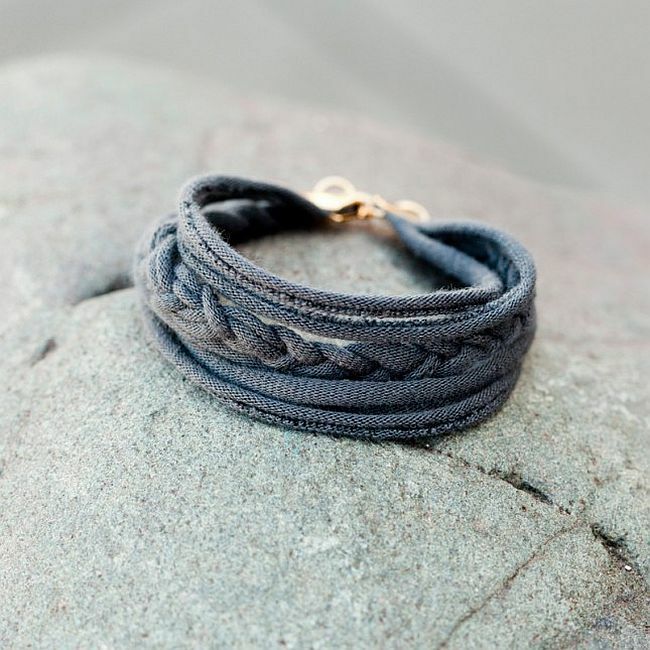 Wrap scraps of denim around faded bangle bracelets to create stylish new accessories. Denim Therapy shows you how. 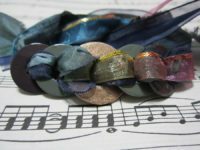 Buttons from your old shirts can be transformed into colorful bracelets with a simple stringing technique. 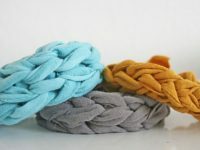 These stretchy bracelets are cute, colorful, and perfect for all your casual outfits. 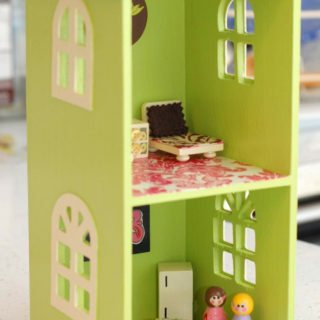 Get the instructions at Saved by Love Creations. 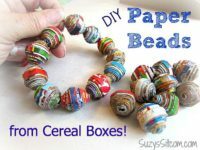 Cereal boxes might not be your first choice for jewelry making material, but these colorful containers can be transformed into bright chunky beads. 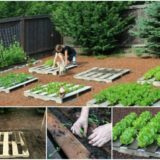 This project is a little time consuming, but the results are well worth the effort. Learn more at Suzy’s Sitcom. Are you addicted to Diet Mountain Dew? 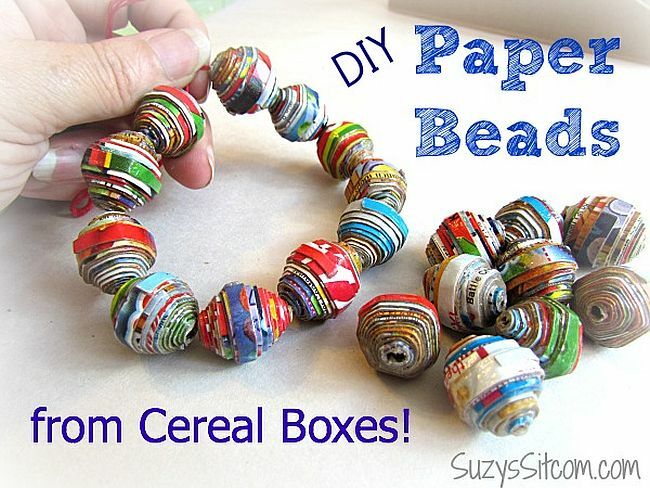 If so, put all those empty soda cans to good use by making a pretty beaded bracelet. 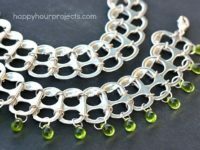 If you are already familiar with how to use jump rings in jewelry making, you should be able to make your bracelet in 30 minutes or less. 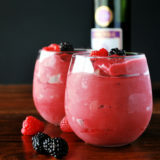 Visit Happy Hour Project for the instructions. 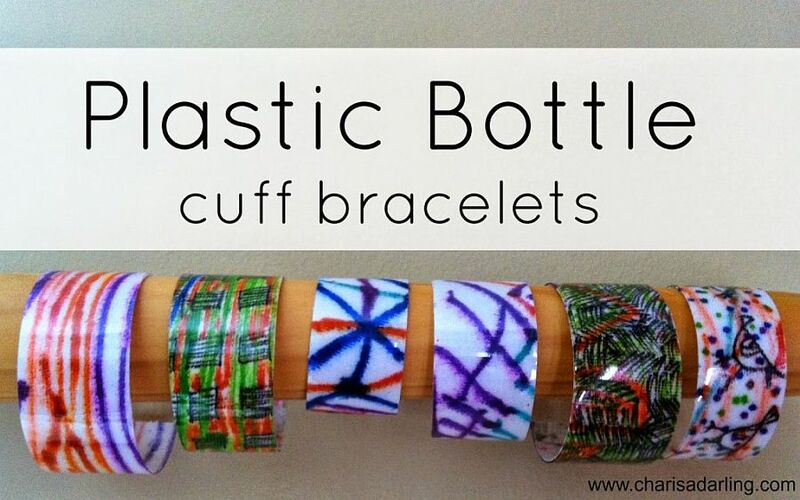 Do you prefer to drink your soda from a plastic bottle? 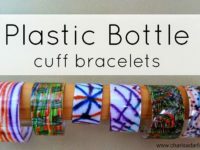 If so, this DIY project shows you how to turn your empty bottle into a modern looking plastic cuff bracelet. 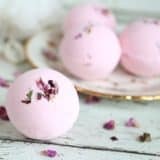 Head over to Charisa Darling to learn more. 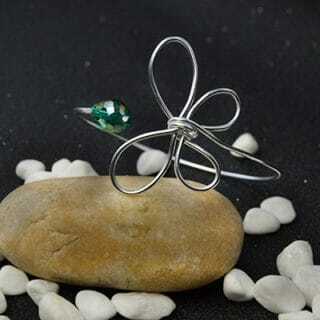 Washers painted with nail polish are the star of this surprisingly dainty looking bracelet. 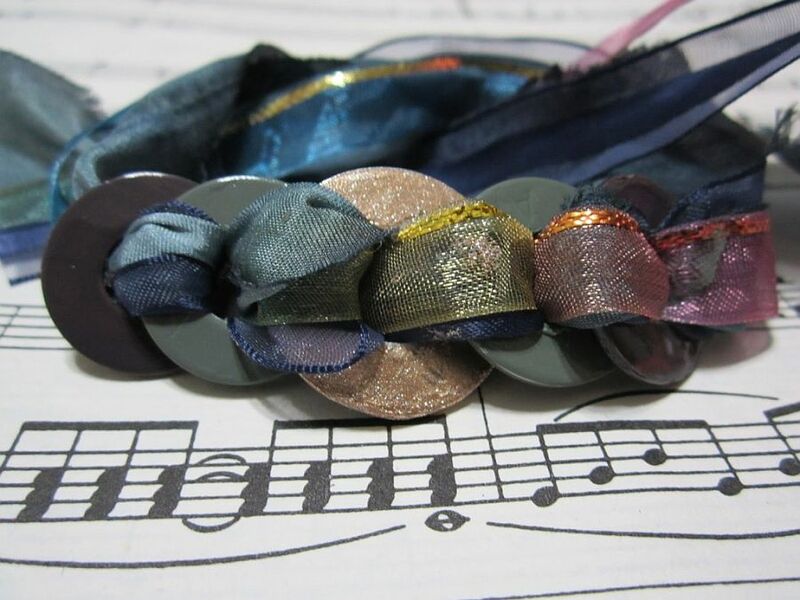 By varying the colors of nail polish and ribbon you use, this project can be customized to fit any occasion. 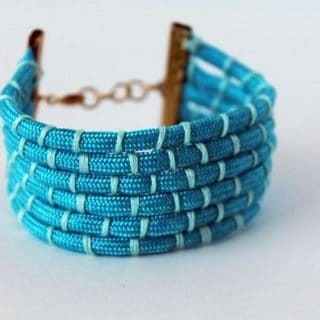 Another Stitch Bracelets shows you how. Are you proud of your geekish tendencies? 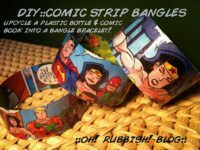 If so, why not show them off with custom bracelets made from comic books and plastic bottles? 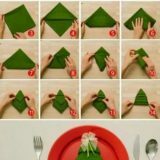 Get the full tutorial from Oh! Rubbish!. 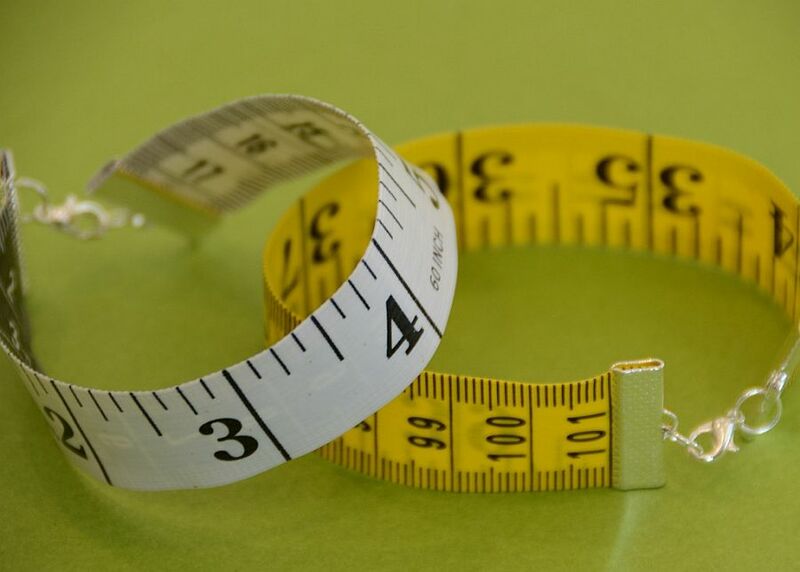 You can make this vintage inspired measuring tape bracelet in just two minutes. 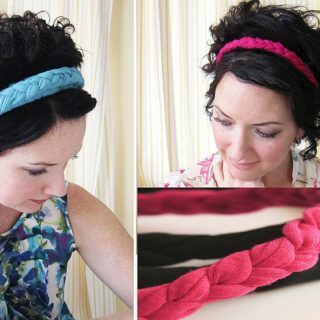 It’s a fun accessory for anyone who loves to sew. 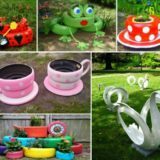 Visit The Happy Homester to learn more. These gorgeous leather cuffs are made from thrift store belts, although you could also swipe an unwanted belt from the man in your life. 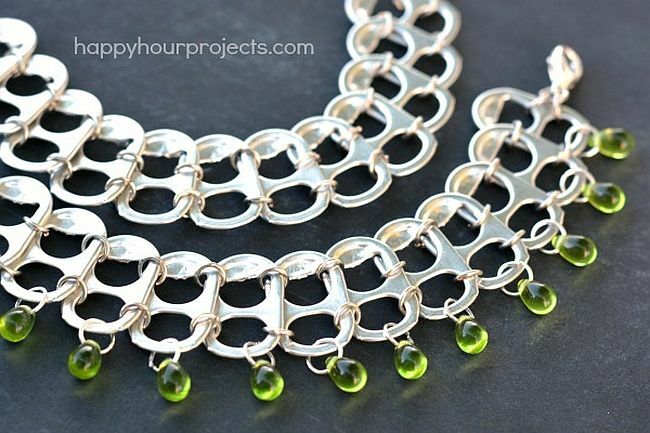 The SITS Girls show you how to complete this creative jewelry making project.